We love working on projects that immerse us in new experiences! The Red Pencil is a non-profit organisation that uses art therapy to help children, adults and families to connect with their emotions and channel them to foster healing. 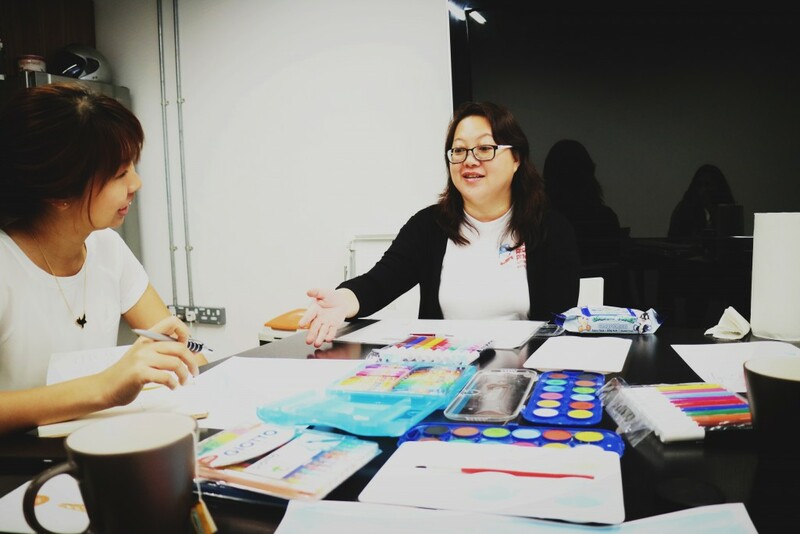 An upcoming collaboration with The Red Pencil is giving us the perfect reason to delve into the world of art therapy – just last week, art therapist Christine Tok dropped by our office to give us a firsthand experience of a typical session. 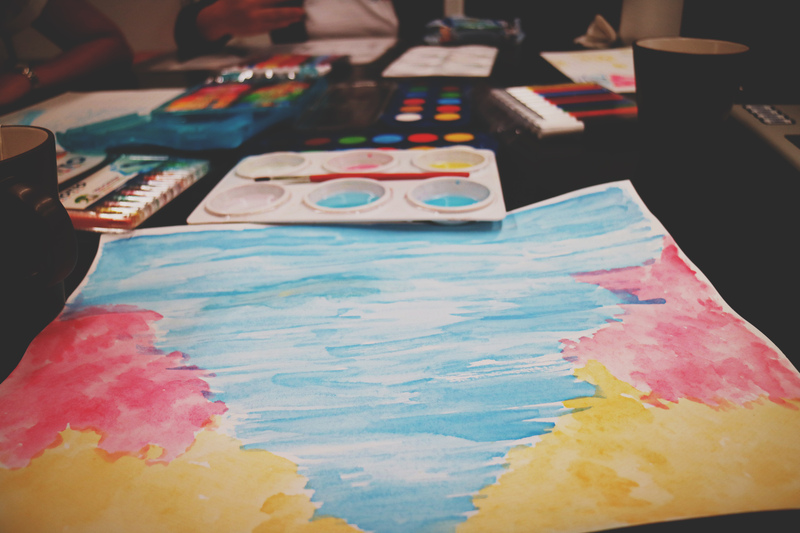 Christine describes art therapy as a way to maintain good mental and emotional health, comparing it with going to the spa periodically to relax your body, instead of waiting till you’re sick to rush to the doctor. We learned a new term “artistic sublimation” – the channeling of asocial tendencies (rage, sadness, anxiety) into a productive activity that causes relief. When the productive activity is art, it is safe – not hurting yourself or others in the process. Wendy talks about the symbols she drew to represent anger, excitement and love. Can you guess which is which? Art therapists use counselling skills, comments and questions to help their clients or patients reflect deeper on the art they make, and thereby uncover their subconscious thoughts. Art is viewed as a metaphoric representation of a person’s inner life, therefore talking about the art is an indirect platform by which to address issues that the client or patient is facing in their lives. Art journalling is one way to receive the benefits of artistic sublimation without the presence of a therapist. 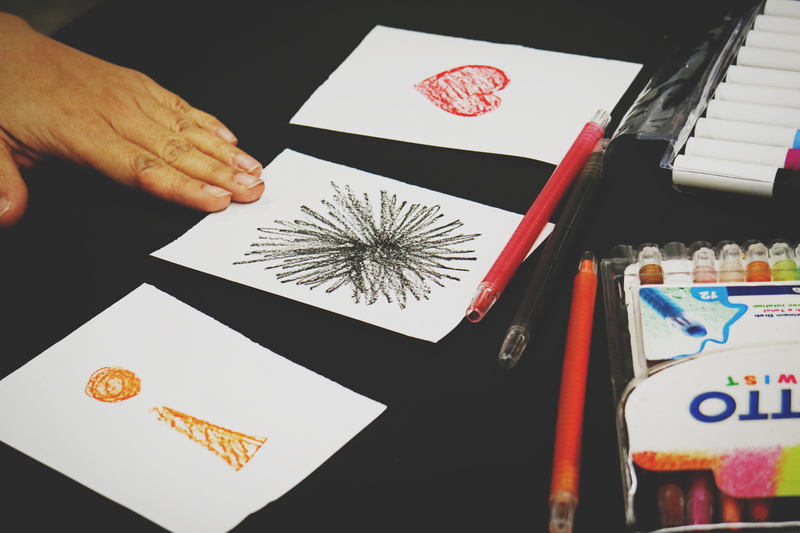 Simply envision your day, and use any medium of expression to make a visual representation of it! 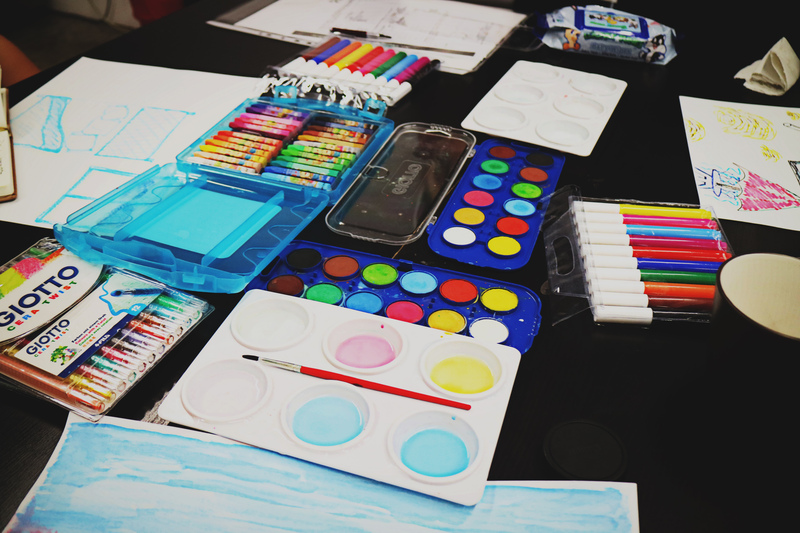 The concept of safe space, we realise, is immensely important to art therapy. By verbalising this intention, by accepting the client or patient without judgement or imposition of preconceived notions, and by providing a variety of art mediums that will allow them to express themselves in the way they want, a safe space is formed. Choice of medium is one way Christine gains insight into a person’s emotional state. Pens are the most ‘controlled’ medium, and the least controlled is clay. Once the therapist provides the client or patient with a prompt, they actively watch and observe the process of how the art is made. What is the choice of medium? How are the strokes? Where do they begin? How does the art emerge? The therapist also interprets the final product, but doesn’t unload it onto the patient. Rather, they use their observations to question the client or patient, enabling clarity and self-reflection. Christine emphasises that therapists must never assume, impose or project their views and must be constantly aware of the client or patient’s background. 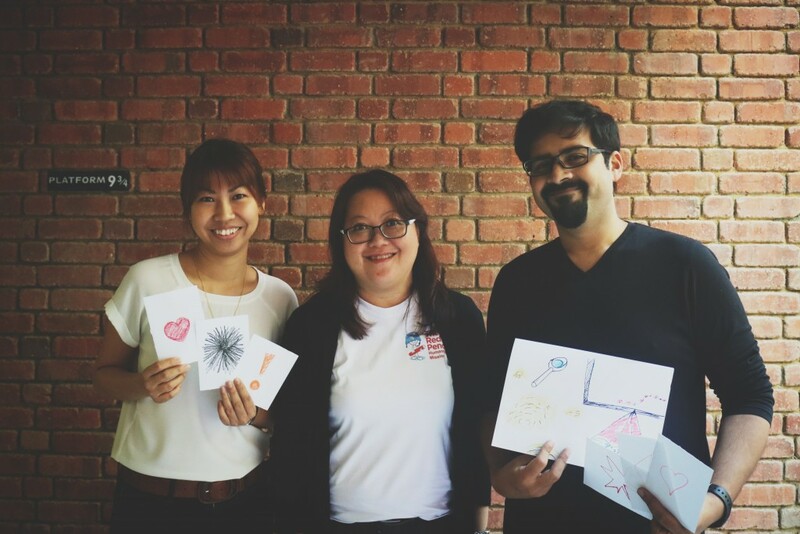 Overall, we had a very insightful session – we got in touch with our emotions, but also learned a lot about the process of art therapy and how ‘digital’ could possibly fit into it. With something as visceral, personal and tactile as art therapy, finding a way to seamlessly incorporate a digital component is a challenge. We’ll keep you updated on how we decide to tackle it really soon!